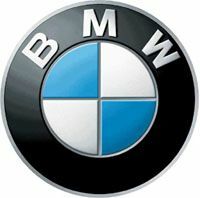 The program BMW 1994 E31 Repair Manual contains the detailed and full description of repair and diagnostics of all units of the automobile, including detailed electric schemes, the moments of inhalings, process of assembly and disassembly of the engine and other units and units, body sizes for an extract of a body, detailed repair transmission automatic and manual, repair of coupling, steering management, the conditioner, all electric components and blocks of the management, the necessary special tool, and as other information. The program on one CD is delivered, installation does not demand. For work with a management it is necessary established Adobe Acrobat Reader. People all over the world have chosen SoftwareCar.com as their online web shop. We are proud to have Customers of different countries and cultures as a sign of great reliability and implementation of our services. They are not only automotive operators, but also vendors and hobbyists and who realize the importance of an well-functioning car or to be updated on the sale of spare parts. Since the software is updated very often, the release dates in the web site pages does not reflect the real update you will get. Every software will be shipped to the last release available. Please feel free to Contact Us to ask about.